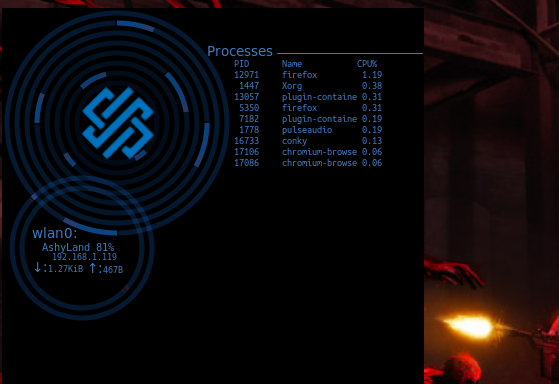 I've been working on this Conky conf and had everything working fine until (stupid me) I wanted to try conky manager out. 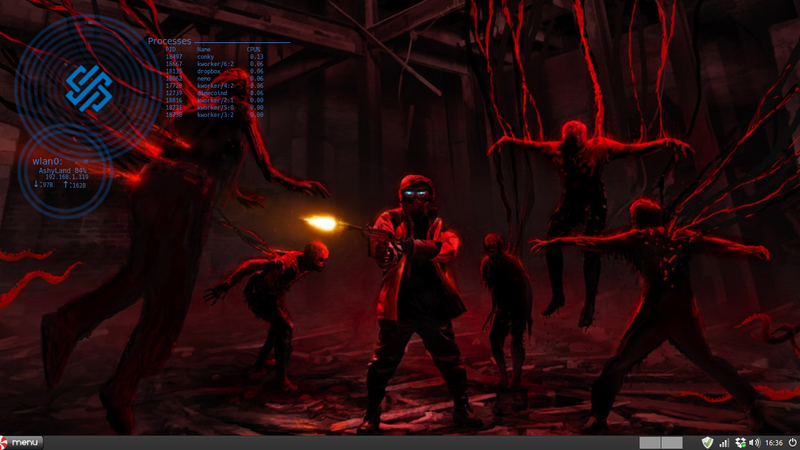 I moved the alignment of the conky window using conky manager and my window background went black. The config is still set to transparent but still black. Here is the full thing (minus the image, get your own logo ), you will need to modify the location/name of the lua script in the conf.